As keyboards became more powerful during the nineteenth century, so demand for piano duet arrangements increased dramatically. 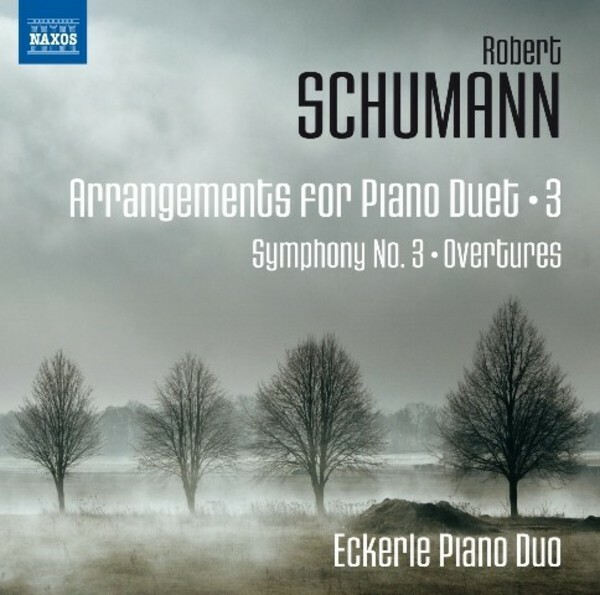 Robert Schumann, already a keen duet player, wrote for the burgeoning market, though largely for the salon and not the concert stage. He almost always supervised the arrangements of his music, but the Overture to Hermann and Dorothea is rare in that he arranged it himself. Symphony No.3 �Rhenish� was arranged by his esteemed colleague and disciple Carl Reinecke, while the Overture to Scenes from Goethe�s Faust was the work of his brother-in-law Woldemar Bargiel.